Kontos. No fat. Good source of iron. 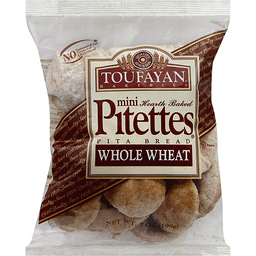 Pocket pita. Traditional white. 6 small loaves. Kontos™. (973) 278-2800. www.flatbread.com. No artificial preservatives. No artificial flavors or colors. With calcium & vitamin D. Great for stuffing. 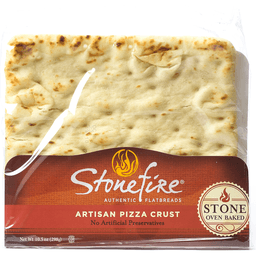 Refrigerated fresh from our ovens to lock in freshness! 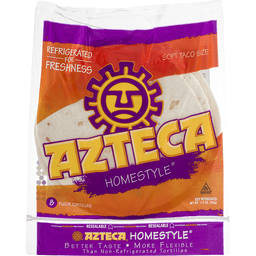 Additional recipes at aztecafoods.com. Facebook. Twitter. Pinterest. Follow us! 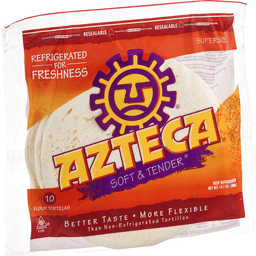 There's a fresh difference in Azteca flour tortillas. A difference you can see, smell and taste. 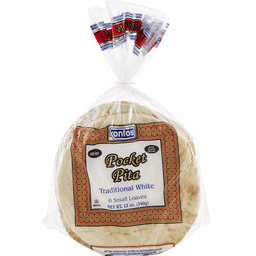 Our tortillas are made fresh from only the finest ingredients and have no artificial preservatives. And fresh food stays the freshest in the refrigerator. So that's where these Azteca tortillas have been since they were fresh out of the oven. 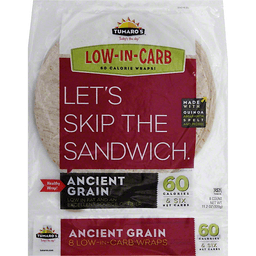 Those unrefrigerated tortillas with preservatives? They can sit on store shelves up to 8 months! 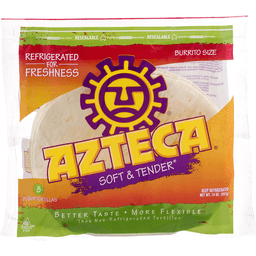 For over 45 years, our Azteca family has made sure your family enjoys the fresh tender and delicious tortillas you love. And that's freshness you can count on. Most of our food & packaging waste is either reused or recycled. 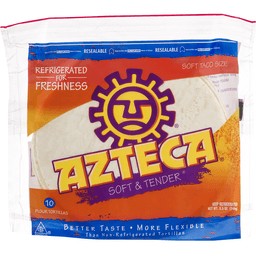 To the Consumer: If you have any questions or comments regarding this product, write Azteca Foods, Inc., ATTN: Consumer Department, 5005 S Nagle Ave, Chicago, IL 60638. Product of USA. 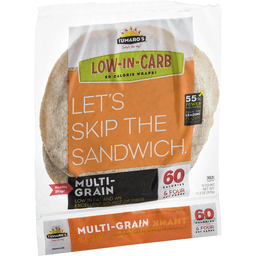 50% fewer calories than traditional flatbreads (light flatbread contains 90 calories per flatbread. 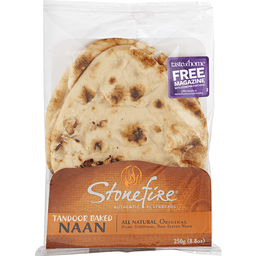 Traditional flatbread contains 180 calories per flatbread). Less than half the calories. 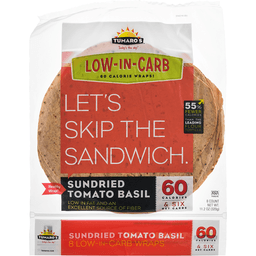 Half the carbs of 2 slices of 100% whole wheat bread (1 flatout light Italian Herb [53 g] = 90 calories & 14 g carbohydrates 2 slices [86 g] of whole wheat bread = 200 calories & 39 g carbohydrates). High fiber. 90 calories per serving. 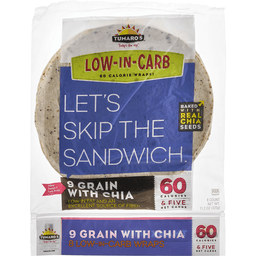 9 g protein. 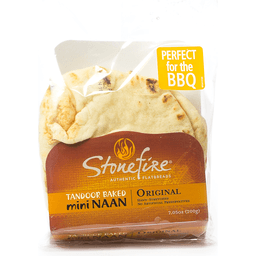 2 SmartPoints Weight Watchers per flatbread. 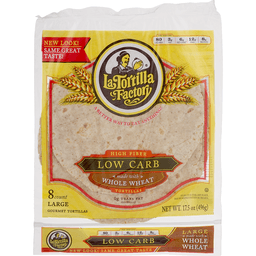 Whole Grain: 11 g or more per serving. Eat 48 g or more of whole grains daily. WholeGrainsCouncil.org. 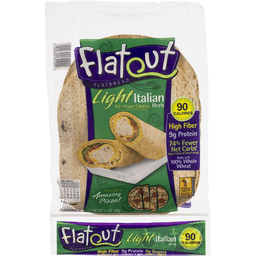 For awesome recipes & store locator visit: flatoutbread.com. 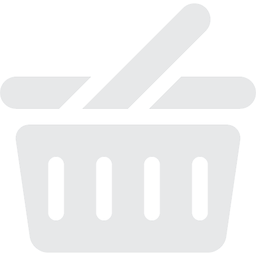 Weight Watchers SmartPoints Plan is proven to reduce your weight. It goes beyond calories to help you make smarter choices. Join today at weightwatchers.com.